Dozens of first-rate sports facilities are spread throughout Manatee County—all you have to do is choose where to compete. 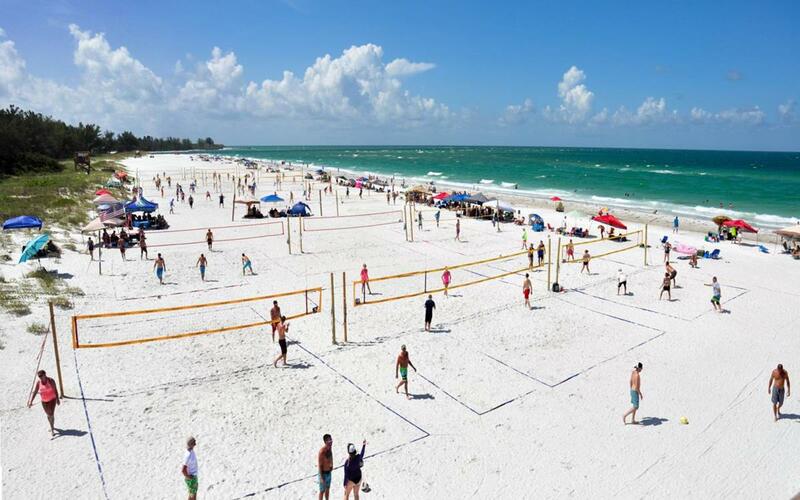 Coquina Beach provides space for sporting events as well as downtime for the players. The following article appeared in the Florida State Sports Guide. Download the full guide below. The great thing about traveling to Florida is that you can almost always encounter beautiful weather. The state is also the perfect place to retreat during the winter for training purposes, competitions and some much needed relaxation. That said, your sports venue needs are even more specific than choosing somewhere with a warm climate. Planners first and foremost need exceptional venues that will support their teams. There’s no better place to choose than the Bradenton Area in Manatee County, where teams will play at world-class facilities and marvel at scenic waterfront attractions. When you travel to the Bradenton Area, you will find several sports venues conveniently located among dozens of attractions and entertainment. Home to several national tournaments, the Bradenton Area’s sports officials are pros at helping you organize your events. Stay outside in the sunshine at one of the area’s well-groomed outdoor facilities or take the competition indoors with shiny court surfaces and ice cold rinks. Bradenton has every option you could dream of, plus accompanied amenities and affordable lodging surrounding the facilities. Manatee County additionally offers family-friendly nature trails, malls and museums. With so many opportunities in mind, you’ll definitely want to bring your sports tournament to the Bradenton Area. 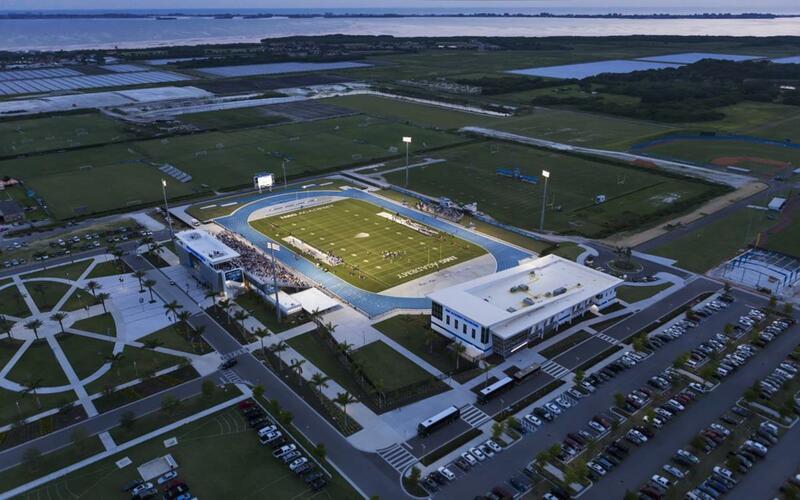 IMG Academy is often praised as one of Bradenton’s most prestigious sports facilities. This mega-complex features every kind of tournament space, including over 50 tennis courts, over 20 multi-sport fields and an 18-hole golf course. The academy additionally holds four convertible basketball courts, weight rooms totaling more than 10,000 square feet of space and a 5,000-seat stadium. Many professionals utilize the facility’s spaces and host their annual events. Most recently, IMG played host to the CONCACAF U15 Girls National Championship. Among many other events, IMG is the chosen venue for USL Super Y National Championship in December. Visitors will have access to dorms, conference rooms, training centers and dining halls. The Premier Sports Campus, situated in eastern Manatee County, hosts several soccer tournaments throughout the year, such as the US Soccer Winter Showcase/Nike Friendlies and the Luis Figo Soccer Championship. The campus holds 23 FIFA-approved Bermuda grass fields, eight of which are lighted. A new 5,000-seat stadium completes the facility’s larger provisions. Besides state-of-the-art lighting and convertible features, the fields are equipped with 65,000 square-feet of underground irrigation systems. Concession stands serve tasty snacks during game time. The Ellenton Ice & Sports Complex was the venue for the 2010 winter Olympic pair teams. 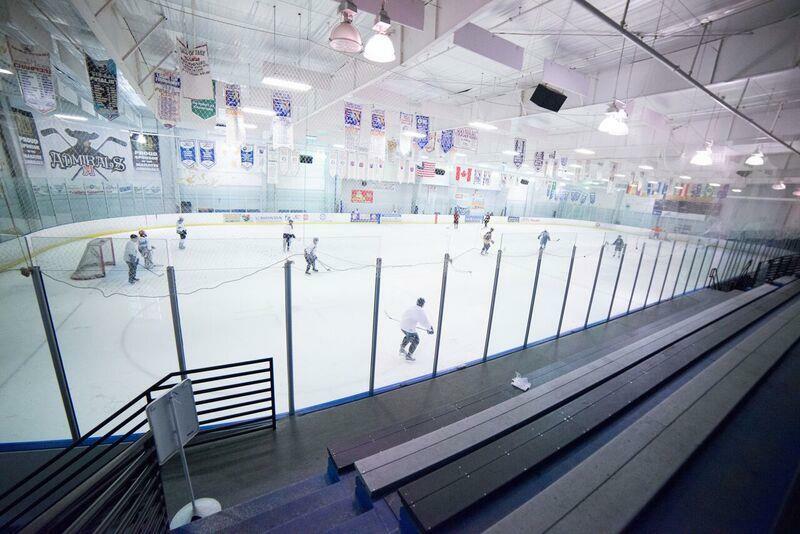 The complex offers two NHL-sized ice rinks and a skating floor at teams can compete on or rent out for parties. Teams may use the inline skate rink and fitness center while tournament officials hold meetings in the conference rooms. Stop by the Crossfit and pro hockey shop for all your competition needs. Pirate City recently underwent a major renovation to provide new tournament space and amenities for sports planners everywhere. This massive venue sports four full-sized baseball fields named after Hall of Fame or Pirates luminaries, each equipped with bleacher and grandstand seats. Besides the game, athletes and planners can enjoy many new amenities, such as ping pong tables and pool tables, computers and televisions. Pirate City will make you feel at home with its housing and dining halls. Parking is limited, so plan on arriving early for practices or game day. 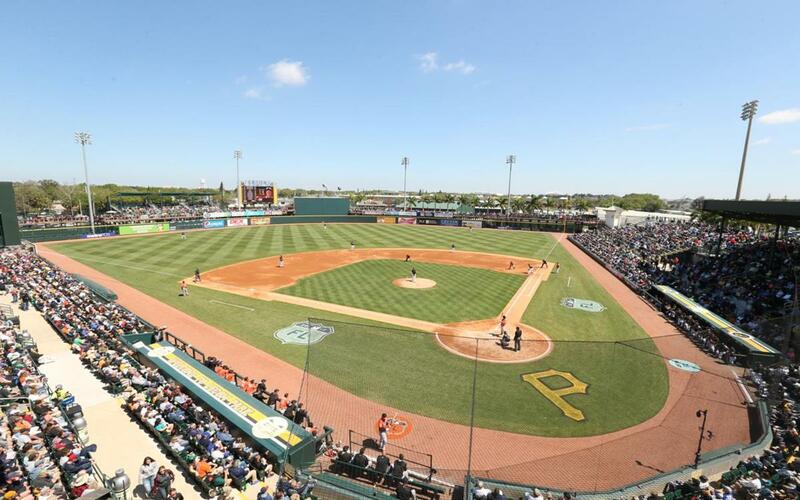 LECOM City in downtown Bradenton is where you’ll find the Pittsburgh Pirates in game mode. Take your own game to the next level by planning a tournament at the facility’s star-studded baseball field, complete with a giant “P” by home plate. To add to the excitement, the park recently received field lights, offices and a clubhouse as part of its extensive $20-million upgrade. Teams can stay comfortably in spacious dorms with the availability of private event rooms and catering. 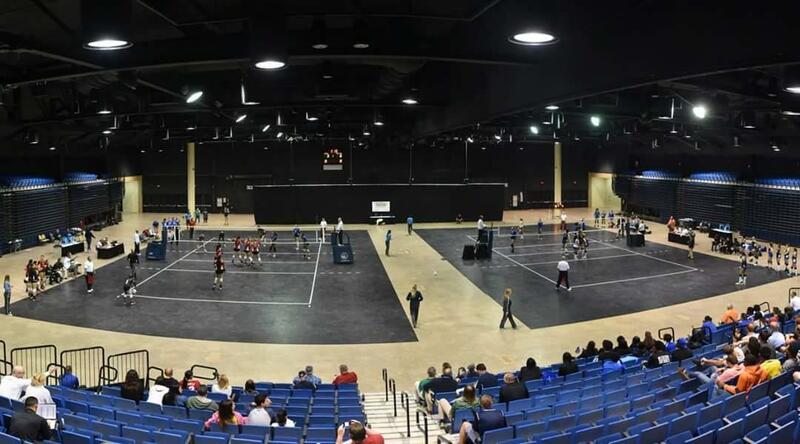 The Bradenton Area Convention Center makes it easy for planners looking to organize a tournament and special event for their teams. This full-service facility, located on the Manatee River, provides seating for up to 4,000 people. Volleyball and wrestling matches take place in the 32,400-square-foot Gulf Islands Center Hall, equipped with floor concrete boasting a professional epoxy surface. Among numerous competitions, the center is booked for the NJCAA Women’s Volleyball State Championship in November. The space easily transforms into a luxurious banquet hall with event set-up and food services. Lighting and audio-visual equipment can be arranged, just consult with the center’s experienced staff for assistance. 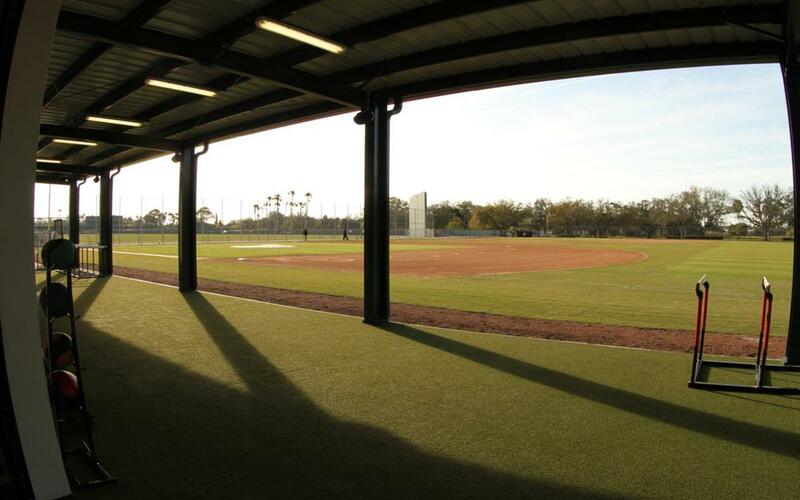 Bradenton Area Sports Complexes boast sports accommodations and facilities for every planner. 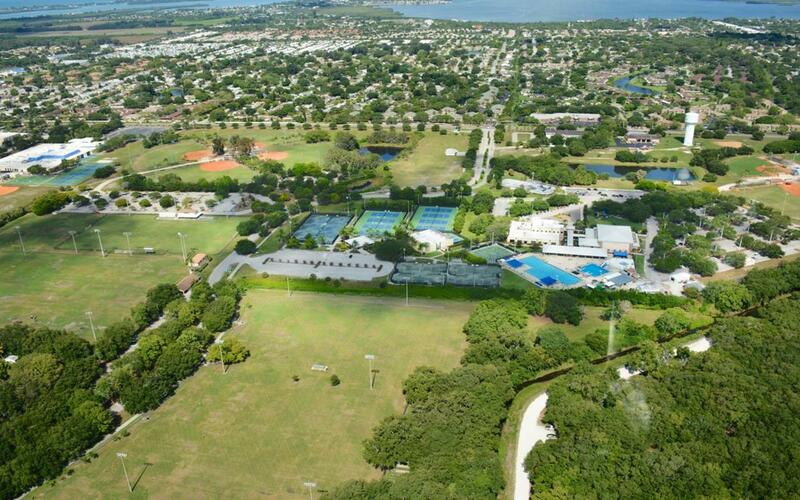 Included in this long list are a brand new 6,700-yard Manatee Golf Course as well as premium baseball, softball, basketball and tennis courts and soccer fields. Bradenton’s natural landscapes provide the perfect backdrop for outdoor sports as teams can compete on more the 35 recreational parks with fishing, dog parks, walking trails, rowing and skate parks. All this plus Bradenton’s first-rate sports commissioners make the town the ideal place for your tournament. Sports planners and athletes will find much to do in the Bradenton Area, which houses as many natural activities as it does modern ones. For one, visitors will be exposed to 15 miles of irresistible white sugar sand beaches. Hit the beach for a day of surfing, swimming and lounging with friends and family. In the evening, take the team out to the Bradenton Area’s waterfront dining locations for a delectable meal. The Riverhouse Reef & Grill is one option that provides quality cajun and seafood right on the water. The Beach House Restaurant offers group dining reservations in addition to a variety of seafood dishes. During your downtown sojourn, take a stroll through some of Bradenton’s nature trails and preserves. The Robinson Nature Preserve offers visitors numerous ways to explore the coastal habitats, while the Riverwalk surrounds the Manatee River and features the Mosaic Amphiteater, Tidal Discovery Zone and a skate park. Take the adventure back inside to captivating museums and art galleries. The South Florida Museum is a lens into Bradenton’s past; the Manatee Village Historical Park preserves historic landmarks from the mid-1800s to early-1900s, such as a general store, the Baldwin steam engine, a courthouse, settler’s home and schoolhouse. Even earlier than that, the DeSoto National Memorial explores history from the 1530s onward. Go beyond the land and into the sea at the Parker Manatee Aquarium, which dedicates its services to aiding injured manatees. The Bishop Planetarium takes teams soaring into space through interactive exhibitions and shows. Get all your shopping done at Ellenton Premium Outlets, largest outlet mall on Florida’s West Coast. 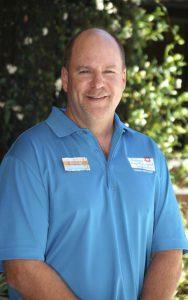 Working with Sean and the Bradenton Area Sports Commission was a great pleasure for our staff. The communication was transparent and frequent, and Sean even was able to show up during the event to help us with any needs. From the moment we met Sean Walter from Bradenton Area Sports Commission, we knew there was something special about the area. He was fantastic to work with from the very beginning up until the end of the event. Always available for any questions we had during the entire process for our event at IMG Academy. By Car: Visitors can easily get there by driving along I-75, known as one of the longest interstates in the nation. Just within a day’s drive, you can venture to nearby cities like Miami, Montgomery, Tampa, Orlando, Tallahassee, Charleston, Atlanta and Jacksonville. By Air: Get to Bradenton by driving 45 minutes on I-75 from the Tampa International Airport. This airport hosts dozens of aircraft carriers, while the Sarasota-Bradenton International Airport is served by Air Canada, Allegiant, American Airlines, Delta, Elite Airways, Frontier Airlines, Jet Blue and United Airlines.